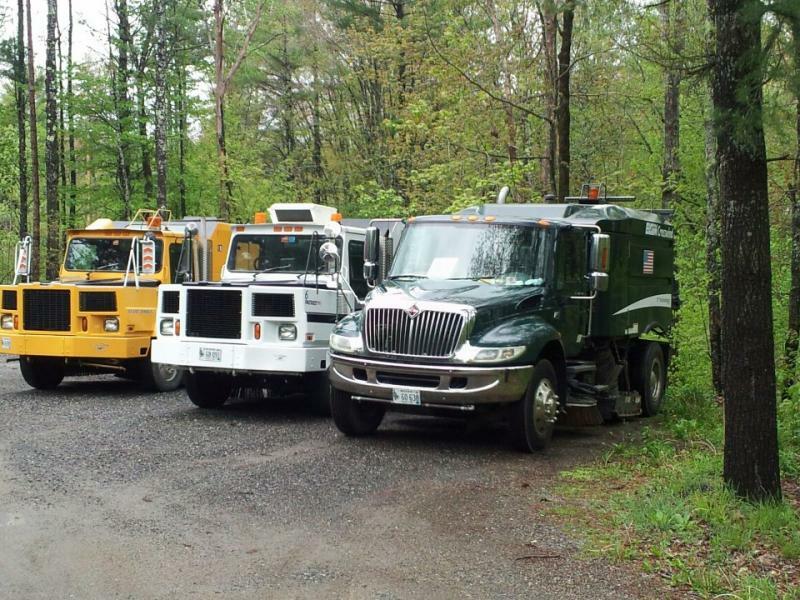 SHOem Roadway Services - Why Sweep? Stormwater runoff is fast becoming a factor in our environment. Sweeping your parking area on a regular basis can help to minimize pollutants in your stormwater stream. Does the sweeping contractor have a good reputation? Ask the contractor for a comparable reference list. Just because they do a great job at the local corner store does not mean they have the equipment or employees to handle a large shopping center. Do they carry adequate insurance? In today's society proper insurance coverage is critical. The sweeping company should present you with a copy of their insurance certificate so you can review it and be sure it meets your requirements. You could be held responsible for a company that is under-insured, so don't take chances! The following are several factors that may be considered when determining a price for sweeping your lot. How often does the lot need to be swept? The more obstacles there are to work around, the more expensive the service will be. If you have center islands filled with rocks or bark, the contractor knows this material will work its way into your parking lot. Is your lot surrounded by trees? The leaves and other debris from the trees are considered when the contractor looks at your lot. What condition is your parking area in? Deteriorating pavement will increase sweeping time. Is there a limited sweeping time? If your parking area has a noise restriction there will only be limited times that the contractor can work in your area. Even if there is not a noise restriction there may be other factors that limit sweeping time, e.g. a bar that is open until 2:00 a.m. or a coffee shop that opens at 6:00 a.m.
Can the contractor dump on site? If the contractor has to haul the sweeping debris away the job will take longer, therefore costing more. The above are just some of the elements that are considered when giving you a quote for sweeping services. If you have additional questions, please ask your sweeping contractor. They will be happy to answer any questions you might have. Check with your sweeping contractor to see what is included in their price. If you have additional needs that are not included in the price (e.g. emptying trash cans, blower work behind the building), just let them know so they can price accordingly. There are also a few things you should know about sweeping services. These machines are designed to pick up trash (e.g. cigarette butts, paper, sand). They are not built to pick up large debris or liquids. They do not remove stains (e.g. oil spills) from pavement. Sweeping contractors can not be held responsible for slip-and-fall accidents. These machines will keep your lot looking neat and tidy, but they will only be on site for a limited time. Something can spill, leak or blow into the area after the contractor has swept the lot.